アメリカの国立公園 National Parks of U.S.A.
EI8IC Ham Radio Maps etc. The original owner of the TS-850S in my shack. SK, Nov. 30, 2015. RIP. 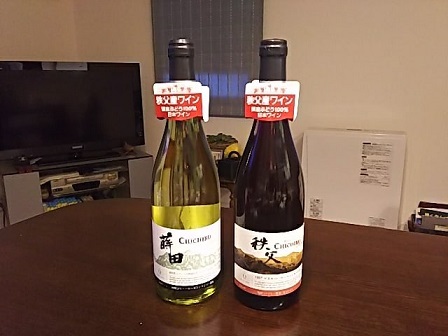 NOBI on ロギングソフト　"FLE - Fast Log Entry"
JE1SGH on ロギングソフト　"FLE - Fast Log Entry"
Came home from an important family event with the bottles of wine brewed in Chichibu, Saitama, to commemorate the occasion yesterday afternoon..